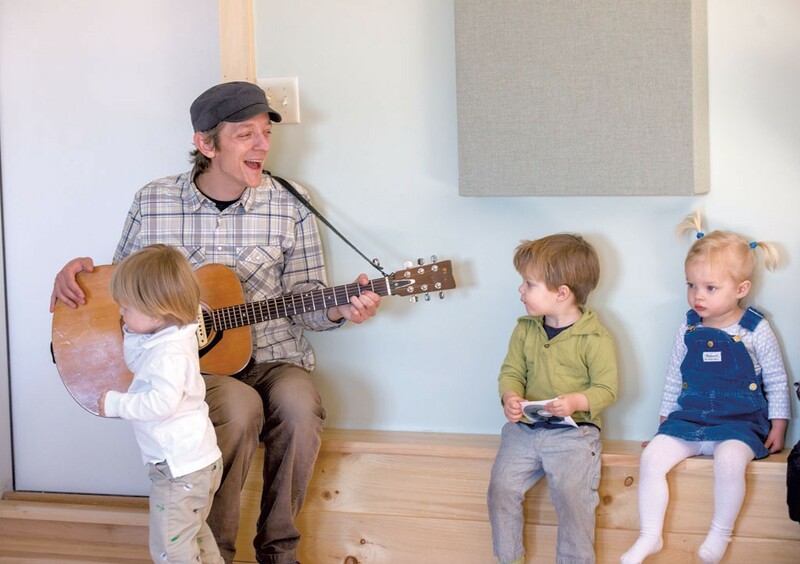 Chris Dorman Releases His Debut CD, Always There | The Kids Beat | Kids VT - small people, big ideas! This year for Father's Day, musician Chris Dorman is getting a special gift — his debut CD. The Shelburne dad of two, better known in kids music circles as Mister Chris, releases Always There on June 21. He first shared his vision with the album's producer, Jared Slomoff, more than two years ago. Then last summer, Dorman raised more than $16,000 via Kickstarter to fund the project. Many local musicians — including Caleb Bronz, Tyler Bolles and Lowell Thompson — lend their talents to the CD. And students from South Burlington's the Schoolhouse, as well as Dorman's 7-year-old son and 4-year-old daughter, sing on several tracks. "So much went into it," Dorman says, "and I have to admit that when we got toward the end, it was hard to let go. I can relate it directly to parenting: When we're getting ready for our kiddos to be born, sometimes we think, Wait, maybe you should stay in there a little longer." Always There: Dorman celebrates his album's release with a concert in the offices of Burlington-based Parent Co., live-streamed on the parent.co website and at Dorman's Music For Sprouts site on June 21 at 6 p.m. He'll also perform a free album-release concert at the Kellogg-Hubbard Library in Montpelier on June 27 at 10:30 a.m., and another free performance at the Huntington Public Library on June 28 at 11 a.m. Find more information about the concerts and Dorman's music at musicforsprouts.com.